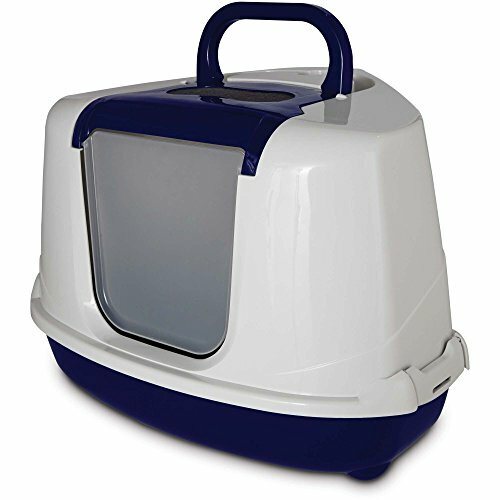 Don’t you hate when your cat’s litter box is full and you don’t have time to deal with it?The Le You Pet Semi-Automatic Quick Cleaning Cat Litter Box is great for homes busy lives and multiple cats. 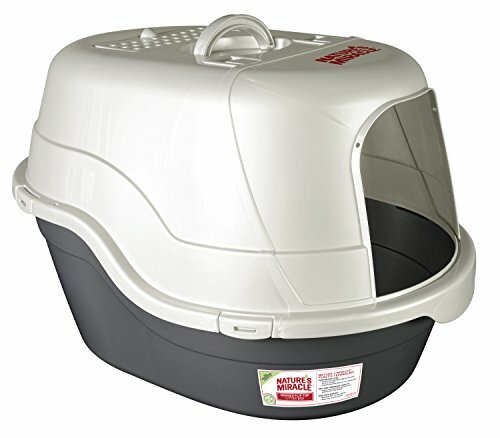 This litter box is a great solution to smelly cat boxes that need constant cleaning. Whether the product is against a wall, corner or bathroom, the simple and generous design let it blend seamlessly with its surroundings. 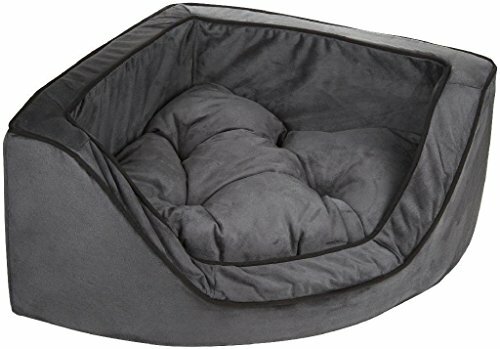 The Le You Cat Box is so large, it can hold up to eighteen pounds, so even your largest feline friends will be comfortable while using. 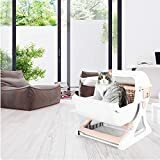 While this model is strong enough to hold large cats, it has a relatively small footprint, so it won’t take up too much space in your home. The sides measure about 20” x 20” and the box sits about 18” tall. The box sits at the perfect height for cats to comfortably jump into. The interior of the box, where the cat will sit, measures 15.4” x 12.8” x 5.2” so there’s plenty of room for your cat to sit. The Le You Cat Box uses a new material called PP Resin that is environmentally friendly. It’s safe, nontoxic, no smell, also with excellent resistance to moisture, acid and alkali corrosion, anti-solubility. 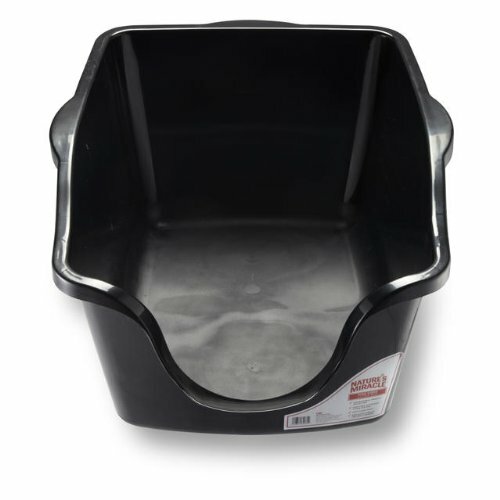 It’s safe to use, won’t break down over time, and will not give off any unfortunate odors. 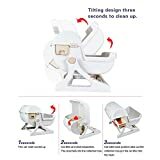 This litter box utilizes a ‘tipping’ feature: when it is time to clean, simply tip the box over using the attached handle, and the mess will drop itself into a simple cleaning tray. Remove the tray when it is full to empty. 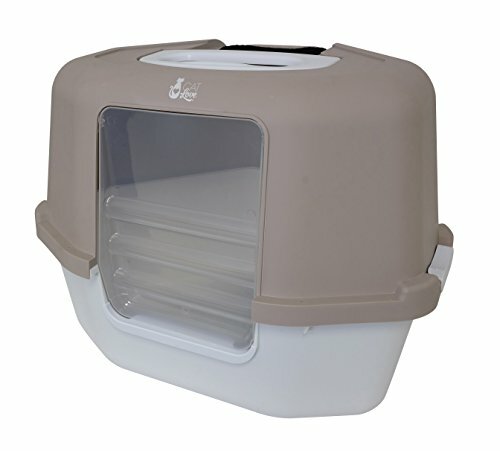 This is a convenient and timesaving function that makes the Le You Cat Box superior to other versions. The interior of the box will require semi-regular cleaning to maintain function, but it is easy to install and begin use. 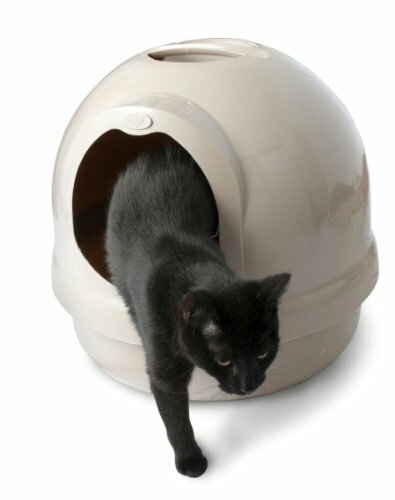 This box works best with clumping litter, though it is possible to use with pellet litter. Using too much litter is unadvisable, as clean litter can sometimes fall into the cleaning tray. The Amazon reviews on this item are extremely favorable. One user writes, “saving cats lives everywhere” because they and their cats love it so much. All reviewers say similar things: while this isn’t a perfect machine, it is currently the best on the market. 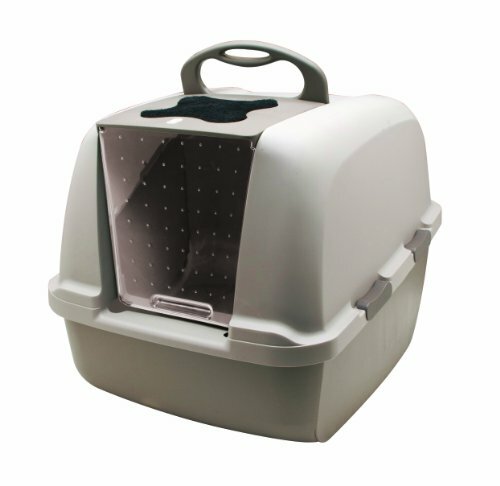 They also say this litter box takes a mundane, unfortunate task and makes it enjoyable. It saves them time and the hassle of cleaning the box by hand. Some obvious cons to this product might be that the open-air design would allow foul odors to escape into your home when you’ve not yet had a chance to clean it. 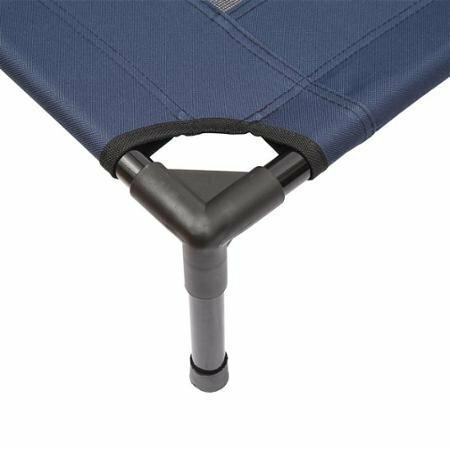 Additionally, the tilt-design seems like it might be precarious and might not hold up to long-term use; especially with cheap plastic, those types of mechanisms tend to not last very long. Because the box is raised, cats will need to jump into the box use it: if you have an older or disabled cat, they might have trouble with it. Also, as the whole box tips over when it is cleaned, it is possible that litter could spill over if you’re not careful. 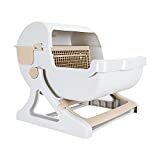 Overall, the Le You Pet Luxury Cat Litter Box seems like a great choice and totally seems worth giving it a try. It is priced reasonably, has great reviews, and could save you time doing a chore no one enjoys–what’s not to love?